Tomorrow is the big day! 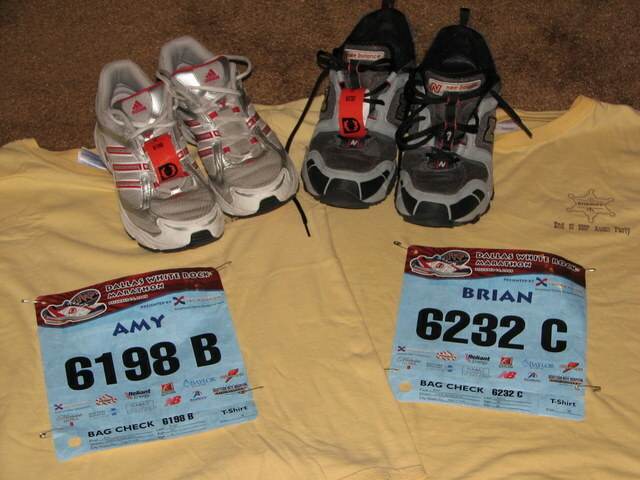 We have everything laid out and ready…..spaghetti for dinner tonight….we’re both a little nervous. The race starts at 8:00am and we’re estimating it will take us around 5 hours to complete. Give us a prayer of encouragement if you happen to think of us! 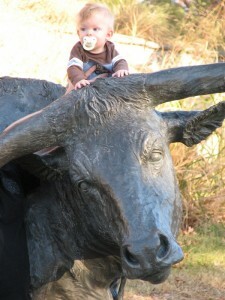 Near our packet pick up, there were a bunch of cow statues so we let Lance ride one. Almost looks like the ring is in Lance’s nose instead of the bull. Okay, now to settle back and watch some Star Wars and get our mind off of what’s ahead.